Home / The JamAlong Blog / Learn to Read Music the FUN Way! Few subjects in music have the same ominous portent as the phrase “reading music”. Sadly there are many of us who have nothing but bad memories on the subject, like a spectacle wearing piano teacher forcing us to memorize “every good boy does fine”. Or being in highschool band and having to sight-read awful marches from pages stained with the tears of former members. And to be truthful, there is an unfortunate cast system separating those who can “read”, and those who don’t. The music-readers often look down their noses at those who don’t read music, and the non-readers sometimes feel inferior. Or in many cases, non-readers actually feel that they are more authentically musical by this very fact. There is an old joke where a jazz musician is asked if he can read music, and he replies “not enough to hurt my playing!”. The truth is, you can be a great musician whether or not you read music. And if you don’t, we encourage you to continue having a great time creating music by ear! However, if you’re this far into this article, the odds are that you are someone who does indeed wish to learn how. And the odds are also that you’ve had the impression that learning to read music is an arduous process that can take years. Well, we have some good news for you: it isn’t! Here’s the deal…if you approach it in the right way, using clever strategies and keeping the process fun, you can be reading music inside of a week. Ready to start? Let’s do this! OK, the first rule is never learn alone! Sure, it’s possible, but trust us: when you share the learning process with a friend, not only does everything go faster but you have a lot more fun! Plus, you’ll have someone to hold you accountable. It’s harder to skip your scheduled practice when your Study Buddy texts you and says “see you in a few”! Another great reason to learn to read music with a friend is that most of the songs you’ll be “sight-reading” have chords that go with them. In other words, 80% of most songs in western culture are comprised of two things: a melody, and a chord progression. When you are sight reading per se, you are reading the melody part, but the melody by itself can get a bit boring after a while. 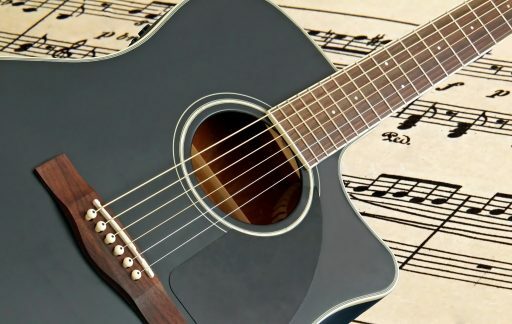 Now, as soon you try sight reading while your friend strums the chords, you’ll have a whole new experience… suddenly you’re not just practicing, you’re jamming! This is why we recommend traditional Irish tunes as one of the best ways to get better at sight reading, because they all come with cool chord progressions that your Study Buddy can accompany you with. And lastly, when you have a steady strummer next to you, it forces you to have to stay in time, and not “cheat” by pausing to figure out the next note. Say and Play – One of you has all the cards (or sheets), and calls out the letter name of a random note. You then have to find it and play it on your instrument. Score how many you get right, and then switch roles. Play as many rounds as you wish, then tally up who got more right and you’ve got a winner! Concentration – This is the same as the regular card game of the same name. Start with all the cards “music note side” down, spread out on the floor or table, then take turns turning over two cards. Whenever you find two of the same letter you get to keep them, and the trick is to remember what the cards were that you turned over before to find more pairs! This is only a small example of the games you can come up with, so let your creativity go wild! It is an unfortunate fact that many book teaching music reading use the dullest melodies for some reason. I mean, who wants to hear Mary had a Little Lamb or Twinkle Star again? You’ll have a lot more fun and therefore learn faster if you use more exciting material, so we’ve compiled a sampling of five fun songs for you HERE. Try to guess them just by playing first, and then if you get stuck look at the answers on page two. And as you pick through them, remember to be patient with yourself! Learning to read music is like learning another language, you can’t expect yourself to be spouting eloquent phrases right off the bat! Another penchant of traditional sight-reading education is to feature a lot of classical music. To be clear, we have a great deal of respect for classical melodies and they can be quite rewarding to learn to play. 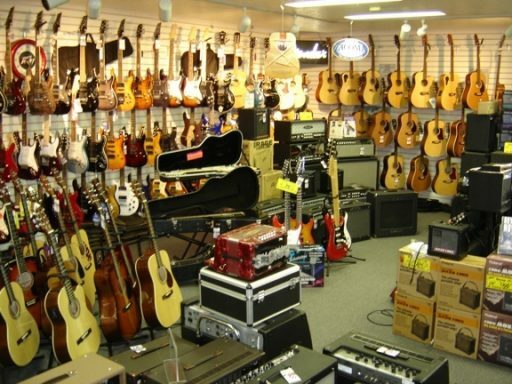 The drawback is that you won’t find a lot of jam sessions playing Bach or Mozart. If you’re going to take classical music seriously, you’ll eventually have to find yourself a string quartet or symphony to be a part of, that that’s quite an undertaking! 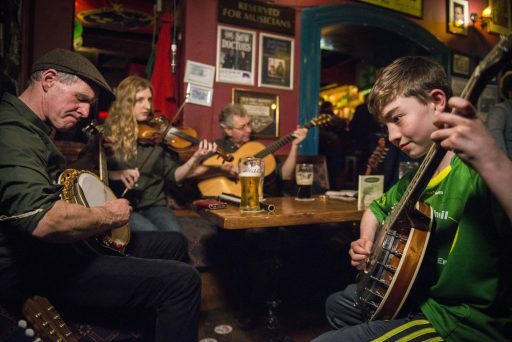 The good news is, there are styles of music that feature lots of written melody that aren’t classical music, and one of the most popular is Irish music. Yes, the traditional Irish jam session features hundreds of intricate little melodies, all written out in music notation. We have had personal experience with many students who picked up a copy of an Irish tune book, and were delighted with how fun it was to practice their sight reading with tunes like “The Irish Washerwoman” or “The Maid Behind the Bar”. What, me compose? No way. Well the actual fact is, if you can hum, you can compose. Yep, it’s true. Composing is in essence just coming up with little melodies, and anyone can do it. Obviously most of us won’t be at the level of a Mozart or Bach, but that’s not the point anyhow. The sort of composing we’re wanting you to try is more like a musical game, where you’ll just come up with combinations of notes and then use these “compositions” to help you with your sight-reading. It’s easy and fun, and you guessed it: we’ll be using our music cards! So, this one is super simple. Just shuffle your music cards, and then lay a number of them in a row, music side up. Put some longer spaces between them at random intervals (these will be where you pause, or “rest”), pick up your instrument of choice, and experience your masterpiece! This exercise will give you infinite sight-reading drills, because all you have to do is re-shuffle the order of your cards and presto, you have a composition! If you aren’t at the stage of knowing the notes on your instrument yet, you can still just “say and play” the row of notes, and you’ll get a great workout for memorizing the note names. (note: this exercise is a bit more advanced, and requires you to have an idea of where the notes are on your given instrument. Be sure to have your “notation to instrument” handy for this one). Now that you have all the right approaches, let’s sum up this process of learning to read music…in just three steps! 3 – Find your study-buddy and schedule your first play session!